Google Panda now includes improving user experience as one of the key factors in attaining a high website quality score. This means that website owners now need to conduct regular site wide audits to see if their website contains any broken or dead links that could affect user feedback. Broken or dead links frustrate and annoy users and if this happens often enough on your website, these users will leave, resulting in a higher bounce rate on your site. Links that lead to nowhere are one of the most common complaints on the Internet. Not good for user experience and definitely bad for SEO. To redirect is to direct someone to a different location or by a different route. Your web server returns several error messages when encountering a problem such as broken urls, inactive web pages, new website, new web page, or probably site under construction. When this happens, users get redirected knowing or unknowingly. 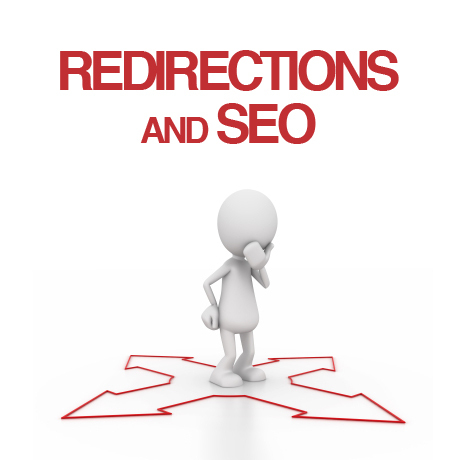 301 Redirect, also known as a permanent redirect, means you are permanently moving content previously existing on a page or an entire site, including all the attributes, qualities, links, PageRank, Page Authority, and SEO juice that belong to it, to a new url of your choice. It is the most efficient and most SEO friendly way of redirecting your traffic after a change in permalinks. 301 redirect maintains your search engine rank and re-indexes your pages, posts and everything else on the basis of your new permalinks. 302 Redirect, also known as a temporary redirect, means you are temporarily moving content previously existing on a page or an entire site, to a temporary location. This also means that you may bring back the old url in the future. This type of redirect does not transfer any of the SEO juice and value of the original page. 301 Redirect is often used specifically when testing a new page for client feedback or when your site or page is undergoing maintenance. 404 Redirect occurs when a customer on your site tries to access a pagename that doesn’t exist. These are dead pages that link nowhere and gives users a bad experience. If these pages remain unfixed, Google will de-index these pages and all the valuable links, rank, SEO juice, and authority attributed to these pages will be wasted. 404 Error pages that are not redirected will annoy users and make them leave your site immediately. You can, however, always add 301 redirect it to homepage, to take advantage of link juice or even create a custom 404 page to redirect them to another page you like. Errors are unavoidable and links do get broken that is why it is always a good practice to do site maintenance regularly and check and double check all your links on your website to see if they are active.